Summer is just around the corner and you can’t stop daydreaming about getting away for the week. There is only one problem. What are you going to do with your pet? When it comes to traveling, the thought of leaving Fido in a kennel for the week makes many pet owners uneasy.Not only can kennel boarding be expensive, but your pet will not get the care and love they are used to getting daily from you. Your pet can also develop behavioral issues and possibly diseases from being kept in a kennel, including stress, kennel cough, and fleas. If kennel boarding is not your first choice, these five alternatives are easier on your pet and wallet.1. Hire a House SitterYou can have your house and your pet watched for one price, essentially killing two birds with one stone. House sitters can get pricey, but if you can find a trustworthy college student or family member to do the job, then you can save quite a bit.According to Care.com, kennel boarding costs an average of $20–$25 per day for small animals. I have two dachshunds, therefore, if I were to take a five-day vacation, boarding my dogs could cost $40–$50 per day, or $200–$250 for the duration of my trip. I am certain there are many reliable college students that would be over the moon to make $100–$150 for crashing on someone’s couch for a week, enjoying free food and Wi-Fi.A house sitter is an ideal choice if you can find the right person. Not only will a house sitter give your pet company and care, but you can also prevent a break-in from happening while you are gone. House sitters can also bring in important mail and packages, water plants, and make sure your trash cans get put out on trash day. Care.com is just one website where you can hire affordable house sitters. I have used Care.com before and I like it because it allows you to run background checks before hiring someone. 3. Hire Someone Just to Check InIf you have low-maintenance animals, like cats, you can just hire someone to show up each day or every other day to refresh the food, water, and litter box. Some dogs could be left alone with minimal pet sitting, too. If you have a dog door and an automatic feeder, then just hire someone to walk your dog for an hour each day, as well as refresh food and water. You can hire someone for as cheap as $10 per hour.4. Peer-to-Peer Pet SittingThere are two websites that match you directly with other pet owners and pet lovers in your area. DogVacay and Holidog.com list local individuals who will take your pets into their home for the duration of your trip. In my area, prices started out at $20 per night. In one listing, the individual even said they text pictures and reports daily to the owners. (See also: 23 Tips for Traveling With Pets)5. Take Your Pets With YouTraveling with your pet is not always an affordable option, especially if there is airfare involved. 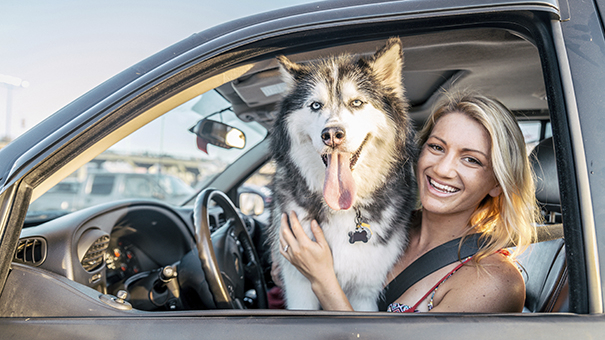 However, for road trips, it might just be simpler and less expensive to bring your favorite canine or feline with you. Many more hotel chains are allowing pets to stay in their rooms, although some fees and restrictions do apply. You might even have some luck finding a pet-friendly room or house on Airbnb.Marriott charges a $100 sanitation fee for your pet to stay with you, and Best Western charges $20 per day, with a maximum of $100 per week for up to two dogs. Other pet types, such as cats, snakes, monkeys, etc. might be allowed depending on the property. Pet owners need to ask in advance. La Quinta Inns and Suites is the best choice for a hotel because it has over 700 pet-friendly locations and does not charge a fee or deposit.Don’t let the cost of boarding your pet ruin your vacation or travel plans. Any of the above options could work for your situation and save you money — you just need to use a little creativity.